Alright guys, this is the last mini-challenge! 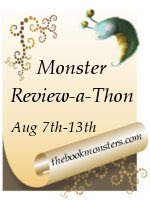 And there's just one more day of the review-a-thon after today. I hope you've been getting as much done as we have! Now that you've starting organizing your upcoming book reviews, it's time to look at your bookshelves, or e-bookshelves. Get my Kindle in order, create some different categories to put books in. Shift my to-read shelves to create space for the books I've gotten this week and try to weed out books I don't think I'll ever get to. Your plans may be way different then mine. Maybe it's time for a new bookshelf or time to shove some books in a box and put them in the attic. I'd love to see some bookshelf pictures when you guys complete this challenge. And if you have nothing you think you have to do, snap of pic of your miraculously awesome bookshelves and post it to complete the challenge. To be entered into the giveaways, make a post or leave a comment letting us know what you've done to organize your bookshelves. You must have seen my bookshelves. We had "popcorn" ceilings downstairs and finally upgraded (we also painted and replaced the carpet) but in order to do so, everything was moved out of the rooms. We had five bookshelves downstairs that all needed to be moved elsewhere. Luckily, there was safe space outside. Once the bookshelves were back in place the books no longer fit on them - too many! Granted, one of the bookshelves was never brought back in but still there was more than one case left of books. Since then I've started entering my books in LibraryThing and boxing them up. There is an extra bedroom here now that my daughter has moved out. I hope to clear out the room I'm using now and between the two of them, I should have a nice area to put my books. Except of course, there are more boxes of books that I haven't gotten too and I'm not through yet! I already have over 2,200 books listed. This doesn't include three categories (read but unowned, give away/gone, wishlist). I have gotten rid of some but I'm going to have to do some serious weeding once they're all inputted. I do have pictures of my storage unit. The books listed at LibraryThing have been boxed or donated. I'm using file boxes because they're a good size, uniform and don't get too heavy even when filled with hardbacks. There is no way I can do more during this challenge. I can work on my ebooks. Holy goodness! Look at all those boxes of bookS!!!! Wow. yeah, I'd pick working on my e-reader over weeding through 2,200 books! We are going to sell off about 100 books to our local Half Price Books today and I'm glad I went through and got rid of that many. We are probably moving in a few months so it'd be nice to cut down on the books we will have to box up.